The Research team: P. Mangalapandi, Areejit Samal, BS Karthikeyan, M Karthikeyan and RP Vivek-Ananth. There is a good news for pharmaceutical companies looking for new products based on Indian medicinal plants: a new online database has identified 960 phytochemicals present in Indian herbs that can potentially be developed into drugs. Phytochemicals are chemical compounds produced by plants which, in case of herbs, are therapeutic. Developed by the Institute of Mathematical Sciences (IMSc), Chennai, this free-to-access database — Indian Medicinal Plants, Phytochemistry and Therapeutics (IMPPAT) — combines information from 50 traditional Indian medicine books with catalogues from previous databases and abstracts of scientific papers to come up with 1,742 Indian medicinal plants, 9,596 phytochemicals, and 1,124 therapeutic uses. The database collates 27,074 plant-phytochemical associations and 11,514 plant-therapeutic use links. “The connections between plants and phytochemicals improves understanding of traditional Indian medicine which has largely been based on observation and experience rather than active ingredients of formulation,” said Dr Areejit Samal, a computational biologist at IMSc and part of the research team, while speaking to India Science Wire. Around 60 per cent (591) of the 960 ‘druggable’ phytochemicals listed on IMPPAT were found to have no similarity with any of the drugs approved by the United States Food and Drug Administration (FDA) which, the researchers believe, turn them into novel candidates for designing new drugs. The database provides chemical classification, 2D and 3D chemical structure, physicochemical properties, predicted absorption, distribution, metabolism, excretion and toxicity properties, drug-likeliness scores and predicted human target proteins for phytochemicals in the database. “The extensive data on medicinal plants can be of good help to pharmaceutical companies which were earlier getting this information in scattered form through multiple sources, which are not always reliable,” said Dr Balasubramani S P, assistant professor at the Institute of Trans Disciplinary Health Sciences and Technology, Bengaluru, who was not connected with the study. Owing to the usage of multiple synonyms for Indian medicinal plants across different sources, the research team manually mapped common names of plants to their scientific species names while more than 15,000 common names of phytochemicals used across literature sources were mapped to a unique set of 9,596 standard chemical identifiers. “A major contribution of IMPPAT is uniformisation of information which can be easily linked to future resources. This is at par with TCM- MeSH16, the online database of Chinese medicinal plants which is helping researchers apply computational approaches towards drug discovery,” said Dr Samal. IMPPAT, however, lacks plant part-phytochemical associations, which means it can’t tell whether it is the leaf or the root of the plant that is producing the chemical. It also does not offer associations between phytochemicals and therapeutic uses. These are the gaps the research team wants to address in next phase of their work. The database offers policy suggestions as well. Only two out of 17 Indian medicinal plants that produce most-druggable phytochemicals are currently in the priority list of the Union Ministry of AYUSH. “We suggest a possible revision in the AYUSH priority list to include the remaining 15 Indian medicinal plants that produce most-druggable phytochemicals in our database,” said Dr Samal. 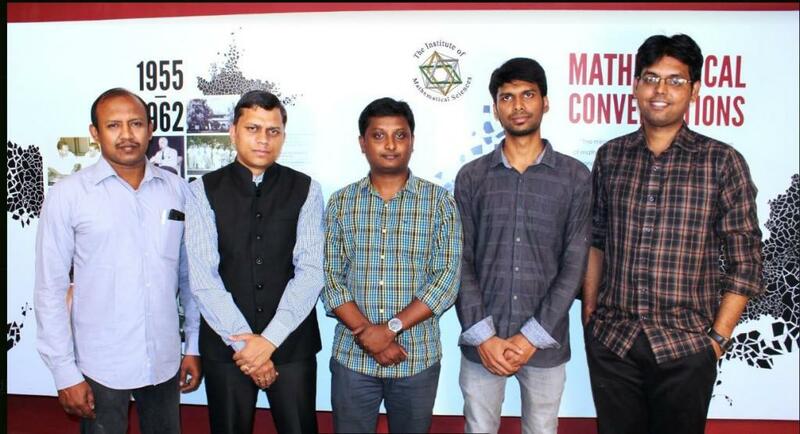 The Institute of Mathematical Sciences conducted the study in collaboration with Stella Maris College, Chennai. In addition to Dr Areejit Samal, the research team included Karthikeyan Mohanraj, Bagavathy Shanmugam Karthikeyan, RP Vivek Ananth, RP Bharath Chand, SR Aparna, and P Mangalapandi. The study has been published in the journal Scientific Reports.